One area where cities and private organizations are looking to leverage the use of the Internet of Things immediately is by implementing an AMR [automatic meter reading] solution using smart meters. Currently, there are approximately 20 million water, gas and electrical meters deployed across Canada, with residential being the largest segment, and less than 10% of all meters being connected wirelessly. While new builds make up the majority of that 10% number for wireless smart meter installations, the bulk of the market, the other 90%, is comprised of existing and older meters that are still perfectly useful, and will be for years to come, but are not currently enabled to provide real-time data usage. 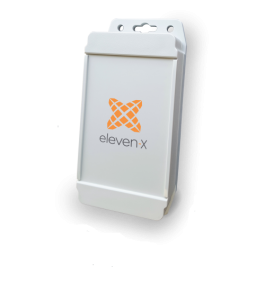 The MIU-X from eleven-x uses low power LoRaWAN™ [long range wide area network] to extend the capabilities of existing technology by easily retrofitting with currently unconnected meters to enable real-time usage data collection. 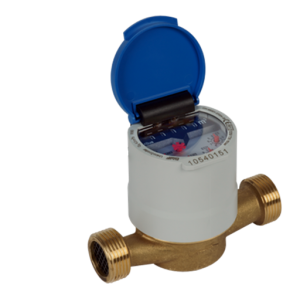 The MIU-X is fully certified and compatible with many current metering solutions and is a great way for cities and municipalities to easily and cost effectively move their metering programs to an AMR approach facilitating the use of real-time data. Installation of the MIU-X is an easy 3-step process that only takes minutes to complete without the need for any specialty tools or expertise. Why is Real-Time Data Usage Important? Real-time data is at the heart of the deployment of smart meters. The support for wireless real-time data collection is a result of both a push coming from organizations looking to integrate the technology and move to an AMR approach to reduce costs and improve efficiencies, as well as a pull from customers wanting to understand how and what they are being charged for in terms of usage. It makes life much easier for customers when the numbers on their meter aligns with the usage numbers referenced on their bill. Reduced CO2 emissions – when customers better understand usage and peak times, they are more inclined to reduce use and leverage savings gained through peak time usage guidelines. An overall better customer experience – customers don’t have to worry about privacy issues or making access available with a wireless solution. Service updates, if even needed, can be done remotely. A key factor in real-time usage data is the potential adoption of regulations and standards based on accurate billing. As more evidence is accumulated pertaining to resource use and its impact on the environment, coupled with consumer awareness, standards and regulations are being instituted around the world. And governments and utilities across Canada and North America are taking notice. Cities and organizations of all shapes and sizes are recognizing the benefits they can derive from going wireless, and the MIU-X and eleven-x’s LoRaWAN network provide an easy, cost effective way to leverage all the benefits, without having to bear the burden of unnecessary high upfront smart meter costs.